Holy Scripture, indeed, has bestowed praise upon sacred song, and the same may be said of the fathers of the Church and of the Roman pontiffs who in recent times, led by Pope St. Pius X, have explained more precisely the ministerial function supplied by sacred music in the service of the Lord. 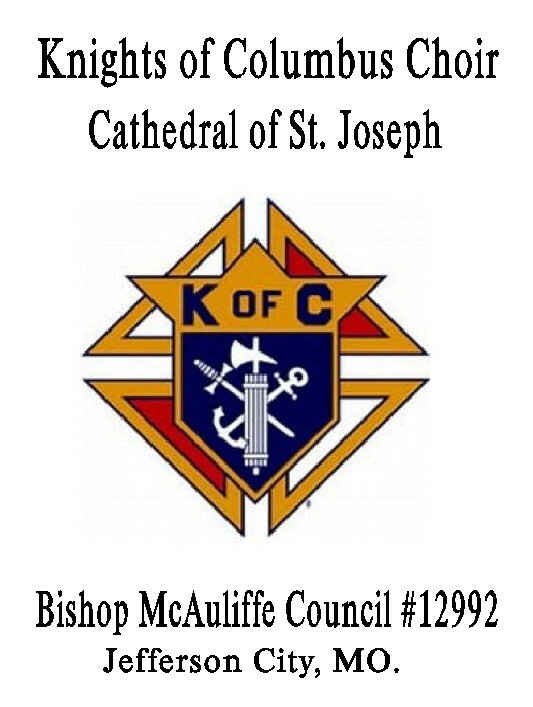 Membership is open to those in high school up to and including senior adulthood who are able to make a commitment to rehearsals and the Mass schedule. Reading Music is helpful but not required. Rehearsals are every Wednesday in the Cathedral or Marling Room from after Labor Day in September to early June. The Choir sings twice a month, second and fourth Sundays, at the 9:00 a.m. Mass plus the Vigil Masses of Holy Days of Obligation. The group also sings for the major festivities of the Church Year including Christmas, Holy Week and Easter and some Diocesan Liturgies like Ordinations. In addition to singing Hymns and Acclamations with the Congregation the repertoire runs the historic span of Gregorian Chant to Modern Compositions. Tom Halpin, John Poepsel and Annette Kehner are the team who administer this group. Are Leaders of Song at Masses where we do not have a Choir or a Contemporary Ensemble. They help facilitate the participation of the people, proclaim the Psalm between the Readings and lead the Gospel Acclamation. They work with the Music Director and their accompanist to accomplish these goals. Reading Music is helpful but not required for this Ministry. Capable Teen agers are welcome to participate. The literal definition is a small choir. The group rehearses on three Tuesdays of the month. and Traditional Catholic Music. 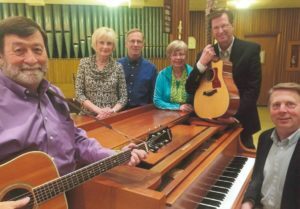 The goal is to have enough members to sing the Church’s rich patrimony of polyphony or many parts music of the Renaissance and later generations. Tom Halpin is the Director of this choir. A Contemporary Ensemble that sings on the First and Third Sundays of the Month at the 11:00 a.m. Mass. They sometimes sing traditional music but their instrumentation is guitar and piano. Gene Vogel is the Administrator and Matt Tolksdorf is the Musical Director of this group. 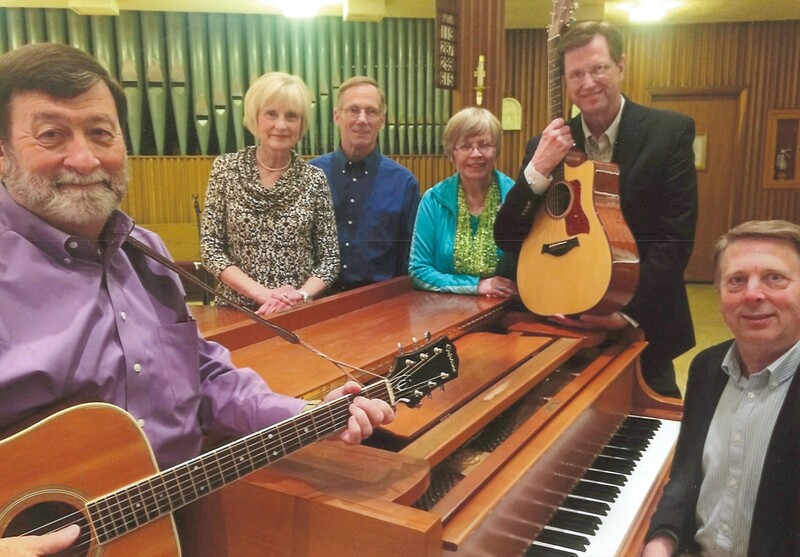 A small ensemble of voices accompanied by piano and guitar that usually sings on the Second Saturday of the Month at the 5:30 p.m. Mass. The ensemble is presently at their max for membership. Brenda Haugen is the coordinator. Children in grades 2 to 8 that attend our parish school or parish school of religion are eligible to join. 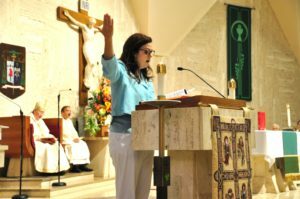 Rehearsals are on the third Monday of the month in the Grade School Music Room after school and before the 11:00 a.m. Mass on the fourth Sunday of the Month in the Undercroft. The Children then sing at the Mass on the Fourth Sunday of the month. The Children have a Prelude and sing at the Christmas Eve 5:30 p.m. Mass. Mrs. Leigh Ann Torres is the Director and Tom Halpin is the accompanist. Parent assistance with the activity is helpful. Any interested parties can contact the Music Director. Students in Grades 6 to 8 participate in the Choir that sings on Wednesdays at the 8:00 a.m. Mass during the School Year. Rehearsals are after school on most Tuesdays. Meyer Neel is the Director and Michelle Newbery is the accompanist. Students in Grades 4 & 5 participate in the Choir that sings on Fridays at the 8:00 a.m. School Mass during the School Year. Rehearsals are after school on most Thursdays. Meyer Neel is the Director and Michelle Newberry is the accompanist. 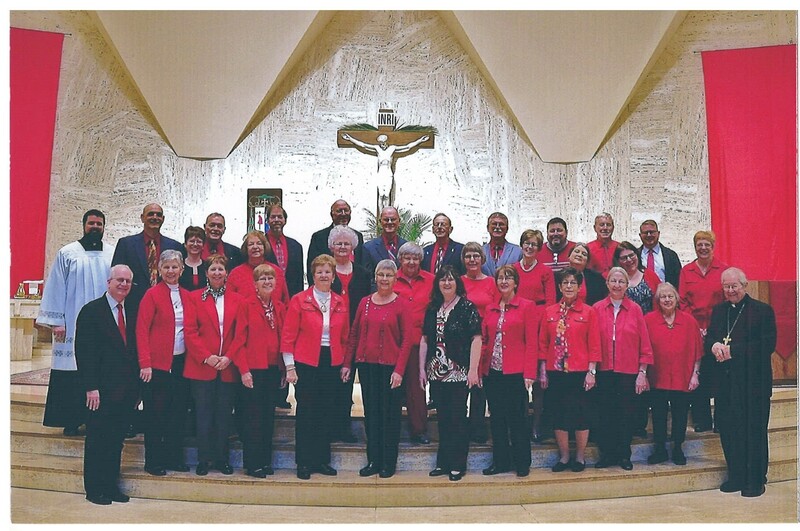 Combined Liturgical Choirs sing on First Fridays, Benediction, Holidays and other days of importance such as Grandparents Day in September, the Feast of Saint Joseph in March and Anniversary of the Dedication of the Cathedral in May. Knights who are available to sing on the Fifth Sunday of the Month at one of our Masses make up this group. We presently rehearse 45 minutes before the Mass. The Feast of the Holy Family in 2017 will mark the first time The Knights and their Families will sing at Mass. Steve Meystrik is the Coordinator and Tom Halpin is the Music Director of this activity. This humor filled Handbell and Choir Chime ensemble sometimes refer to themselves as the “Ding A Lings”. They rehearse on Thursday evenings and play approximately once a month at different Masses. They are ringing three octaves of bells and chimes. While music reading is helpful, it is not a requirement for membership. Rose Ann Ruzicka is the Director. 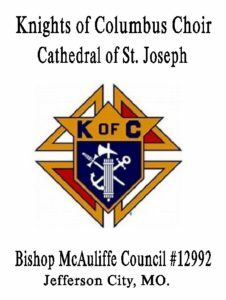 The Diocese of Jefferson City and the Cathedral Parish have a long-standing custom of having volunteer organists and pianists play at some of our Masses. Anyone with those talents and skills are encouraged to talk to the Music Director. We presently have five volunteers. We have had the Flute and a Trombone play at our Masses. Anyone who plays an instrument and would like to play at one of our Masses may contact the Music Director. Mr. Thomas E. Halpin is the Director of Sacred Music at the Cathedral of St Joseph. Mr. John Poepsel is the Assistant Director of Sacred Music.